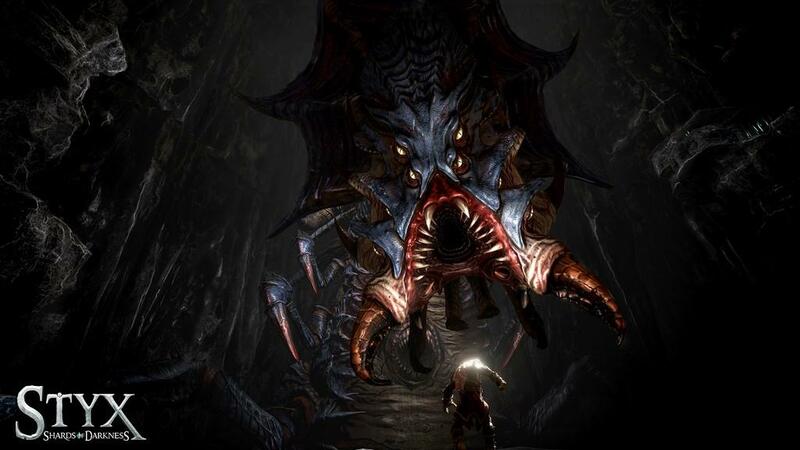 The original Styx game, Master of Shadows, was a PS Plus monthly freebie a while back. I had every intention of giving it a go and there it sat, downloaded on my hard drive waiting to be played for months. I never did get around to it and eventually need the disk space back. 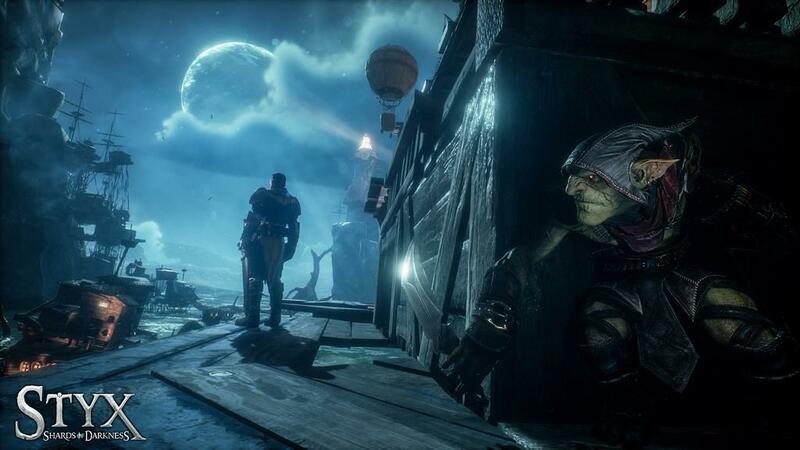 I was happy, therefore, to finally jump into this world with the sequel, Styx: Shards of Darkness. I'm told this game is very much like the first, but does well to build off the strengths of the original, expanding abilities, crafting, and tightening up the gameplay. So fans of the original should be encouraged by that news. 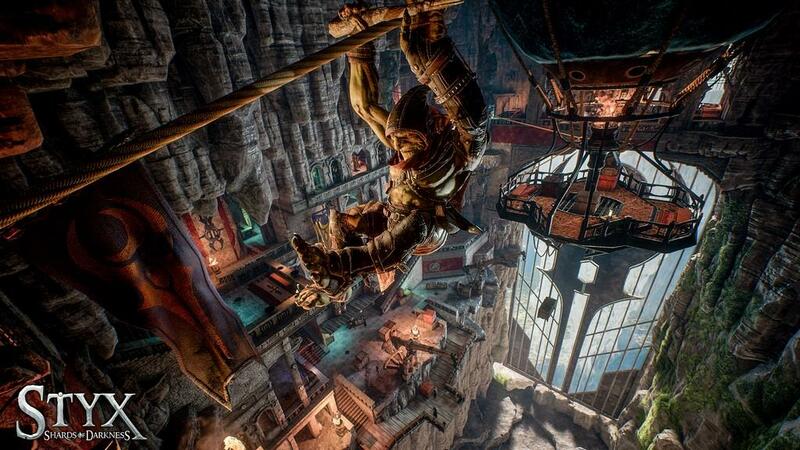 Styx is, first and foremost, a stealth game. It doesn't really try to be anything else. This is a game where patience is a virtue and carefully plodding through levels, studying patrol patterns, and painstakingly scouting each turn before rounding the corner are all well rewarded. It's not all about sneaking, you can opt to unsheathe your knife and leave a trail of the dead in your wake, but do so quietly. Bobby trap alarms first, poison food and water caches, use the environment as opportunity presents itself or else pick off guards one by one up close and personal. Be warned though, one alarm raised will send every opponent in the area on your head. You do not have the health bar, or the moves, to do much against any sort of odds. There is a nice parry mechanic in play if facing off against a lone antagonist, but when faced with a group, might be better just to load the last save. Speaking of which, for a stealth game the saves are fairly generous. There is also a quick save mapped to the right d-pad to manually bookmark your progress. But mostly every time you tick off some mission objective there will be an autosave initiated. What is not so generous is the relatively paltry list of skills you begin with. Most abilities have to be learned from a rather linear skill tree. 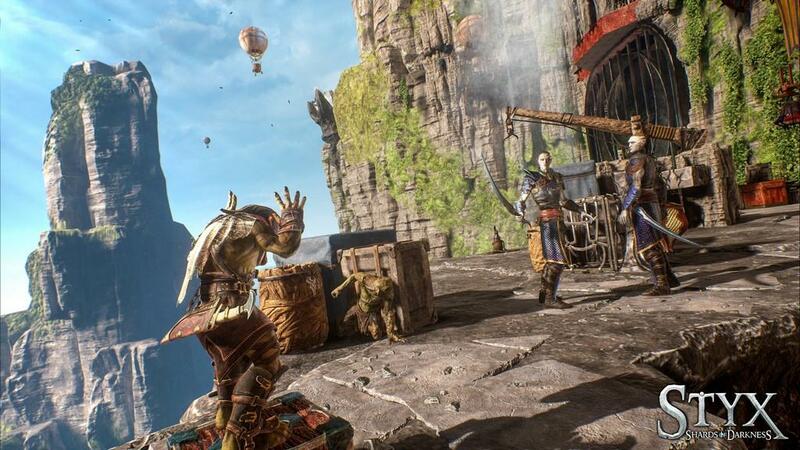 There are 5 areas of skills and two branches in each area, but some pretty standard abilities like ledge kills and silent moving while invisible don't come for free. These skills are unlocked with a kind of XP that is earned with each mission completion and bonus granted for certain objectives. 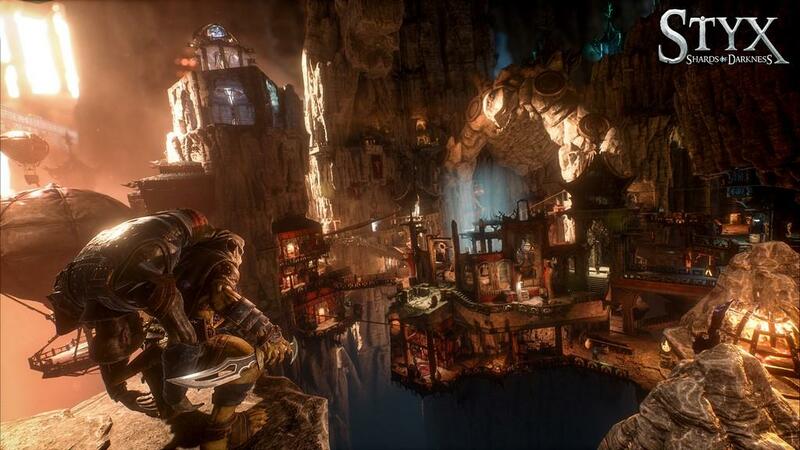 Where Styx: Shards of Darkness really shines is in the level design. The world is fairly rich with many of your standard fancy tropes on display. 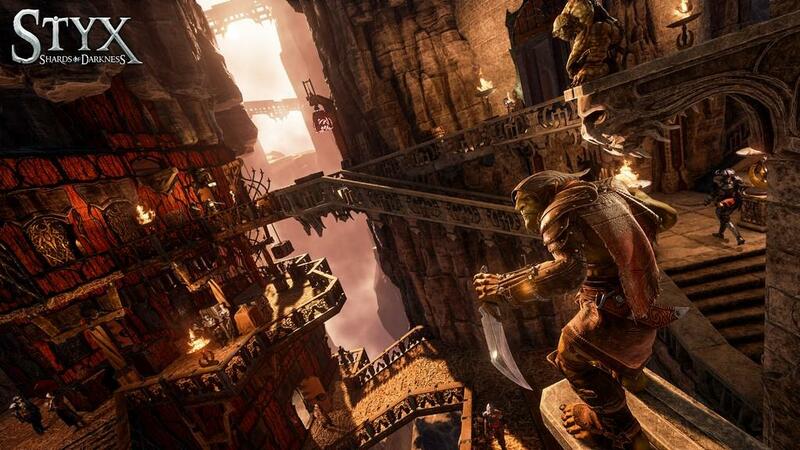 Styx is of course a goblin, but in this world goblins are fairly dumb creatures treated like vermin. 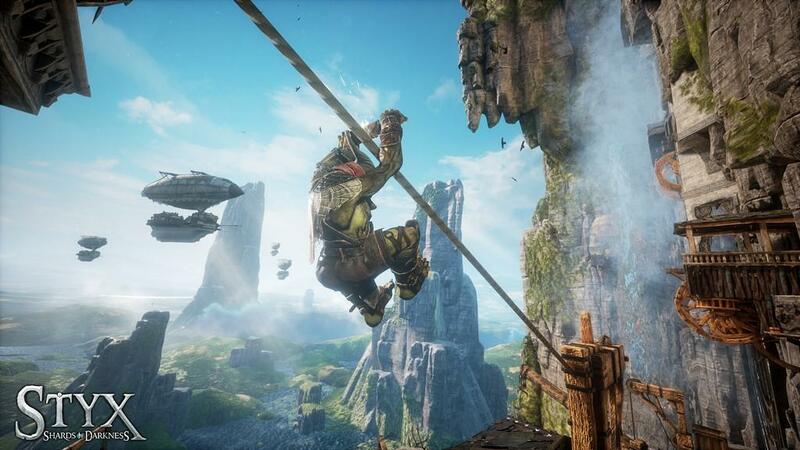 Styx has the unique ability to actually speak, not a typical goblin trait but all that backstory is told through the first game and to go into it would just be spoiler hell. Thankfully, no knowledge of the original is needed to enjoy this sequel. The storyline stands on its own. The levels are very large and make full use of this rich fantasy environment though, creating sprawling expanses that not only stretch horizontally but extend vertically as well and incorporate both varied character races and terrain from temples to airships. There are nearly always multiple paths to get to each objective and each level is littered with a few optional side quest steps also. You have choices in Styx both how you're going to take each step and how you're going to behave along the way. Slip past unnoticed by slowly creeping through the long way or maybe kill a few guards and b-line to the goal. Are you going to tackle that side quest or just leave it? Even in a game that fully embraces stealth and forces you along that wider strategy, you have options of exactly how you're going to see out that mandate. Another where Styx shines is pacing. There are cutscenes between and at major checkpoints of each mission that flesh out the majority of the story, but even as you traverse each level more detail is often interjected via conversations you inevitably eavesdrop on or running commentary the main character likes to espouse. 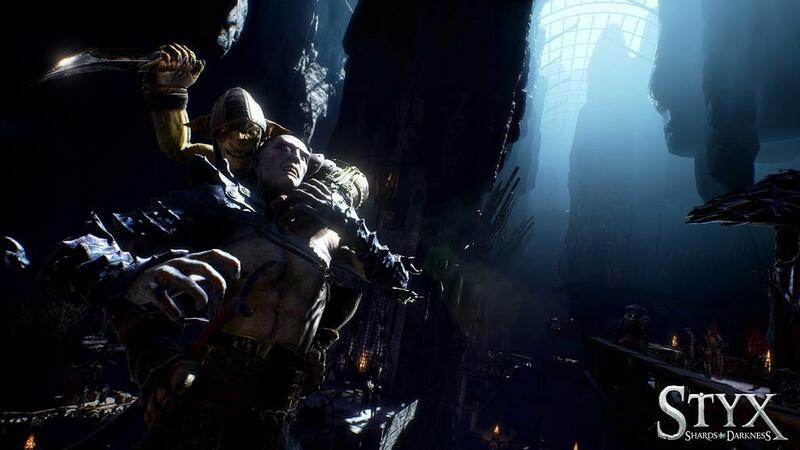 There is one very strange caveat to this however: despite the game making good use of the Unreal Engine 4 for the in-game visuals, the main cutscenes look like something pasted in from a last gen system. The opening introduction and early cutscenes are the worst, and though they do get a bit better then nearly all look more in place on a PS3 than a PS4. Blocky models are fitted with mouths that don't match the dialog and the fluid movement of the in game actions left behind for jerky character animations. And that's the next point where Styx failed to do it for me. I just don't like the protagonist. He's a foul mouthed little jerk that alternates between over the top crudeness and sexual innuendo. For some this might just be his appeal, but for me it was off-putting. He likes to mouth off throughout the story progression and after each death we get treated to a little stand up routine where he makes some crass remark or another about our latest failure. If the scenes were genuinely funny then it might have landed with an entirely different impression, but save for one little homage to the Terminator films that did make me lough out loud first time I saw it, I found every other routine to be more cringeworthy than endearing. 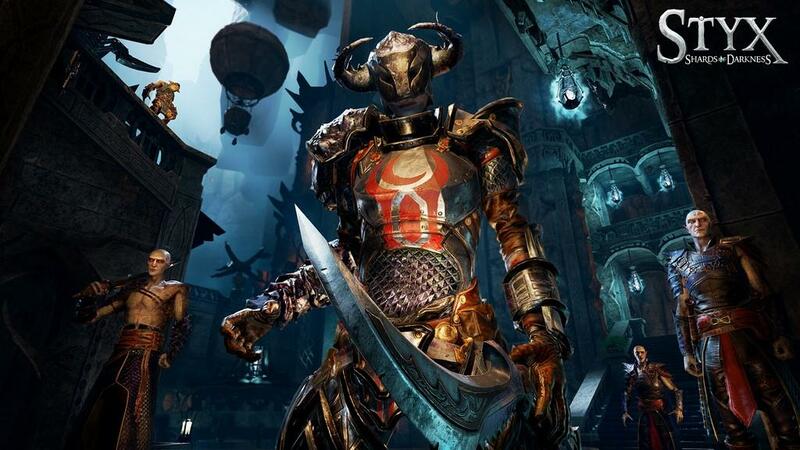 Overall, Styx: Shards of Darkness knows what it is trying to be and does well to achieve that goal. 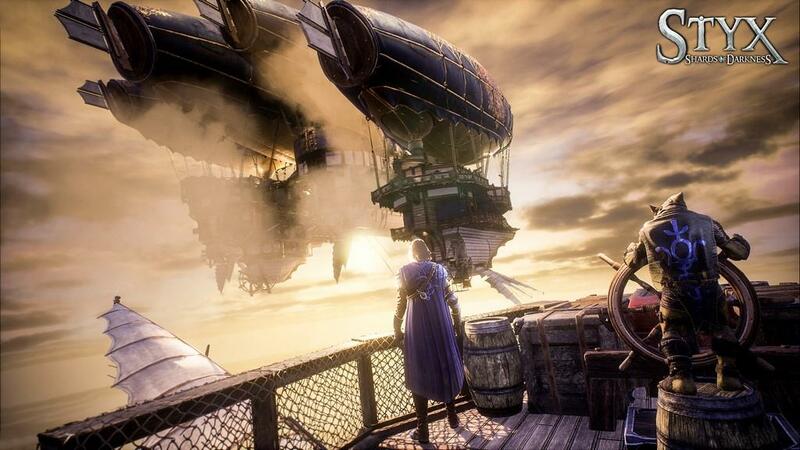 This is a stealth game that will reward the patient with a rich world despite some bumpy visuals in the cutscenes. 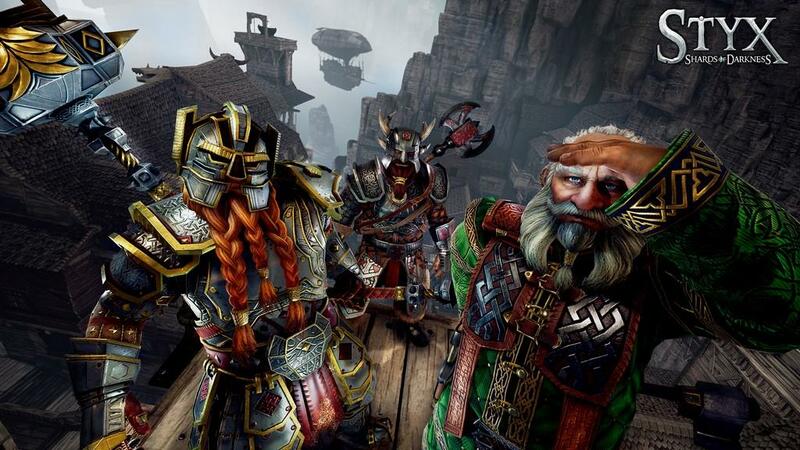 A stealth game that sticks to its core values and offers some excellent level design, Styx: Shards of Darkness is a solid sequel. It is not without some presentation issues and could really benefit from some better controls on the more delicate maneuvers. If you can get past the crassness of the main character there is much to like.